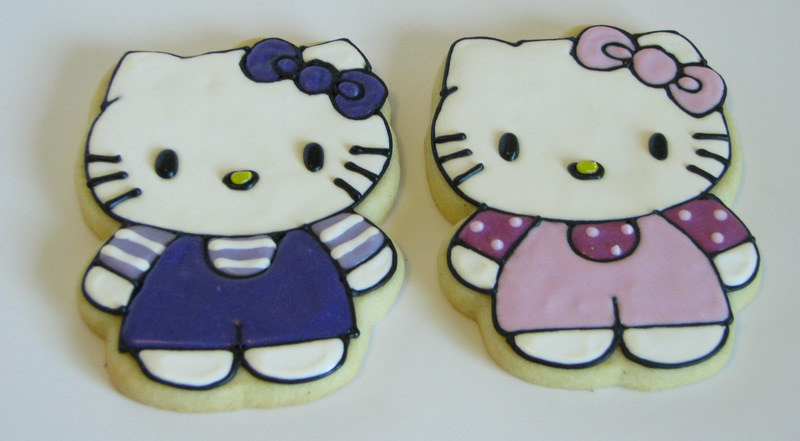 But hey– Wilton has a new set of Hello Kitty cookie cutters! 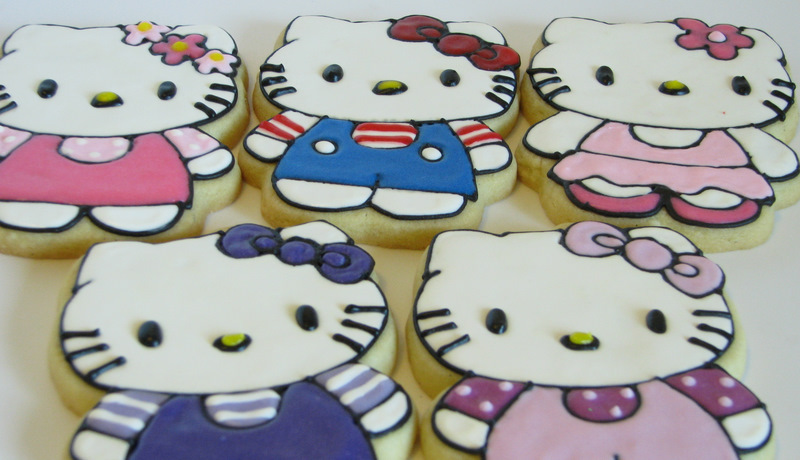 I was SO excited to get these, because we used to get asked ALL THE TIME about Hello Kitty cookie cutters, and there just weren’t any available. Till now. We had 48 of them in our first order and they were gone in no time. But we have more now. These were fun. It was like playing with paper dolls, choosing different outfits for Kitty to wear. And they were simple and easy, too, which is always a plus! 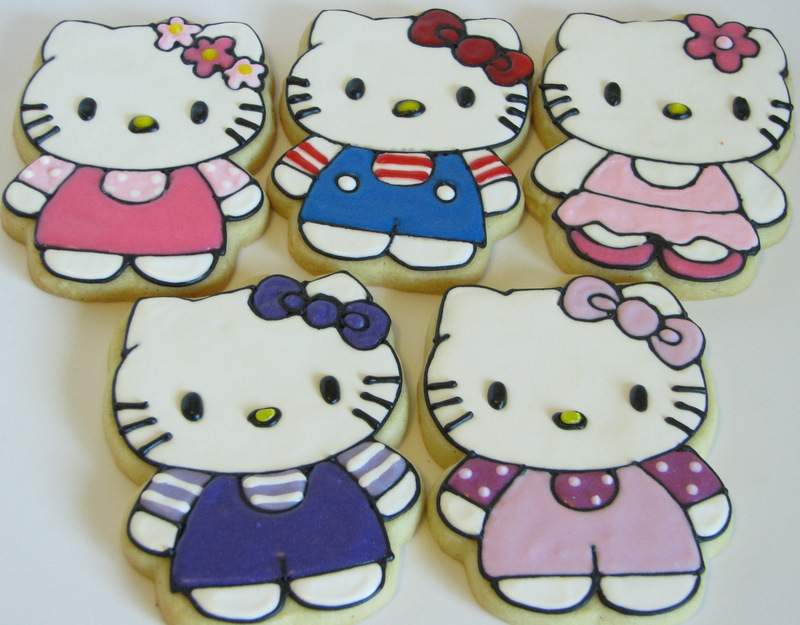 If you do a quick google image search for “Hello Kitty”, you’ll find all kinds of cute outfit ideas. I liked substituting flowers for the bow, too. Fun. 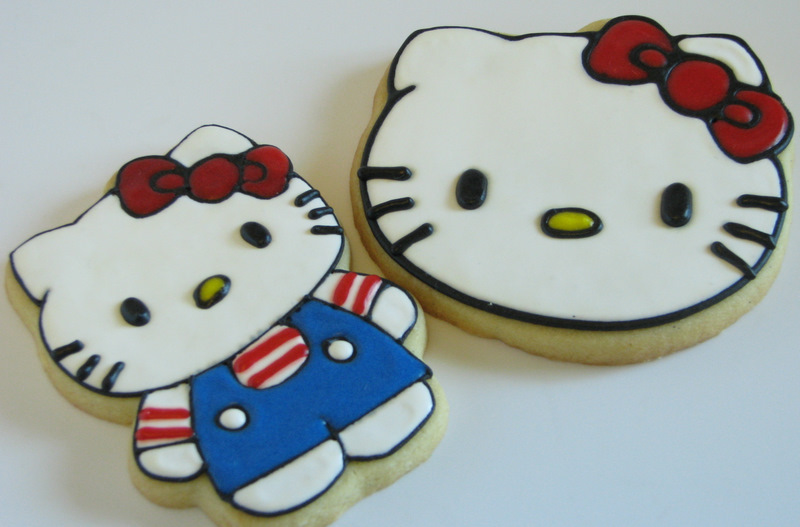 Does someone you know love Hello Kitty? You should make them some cookies! 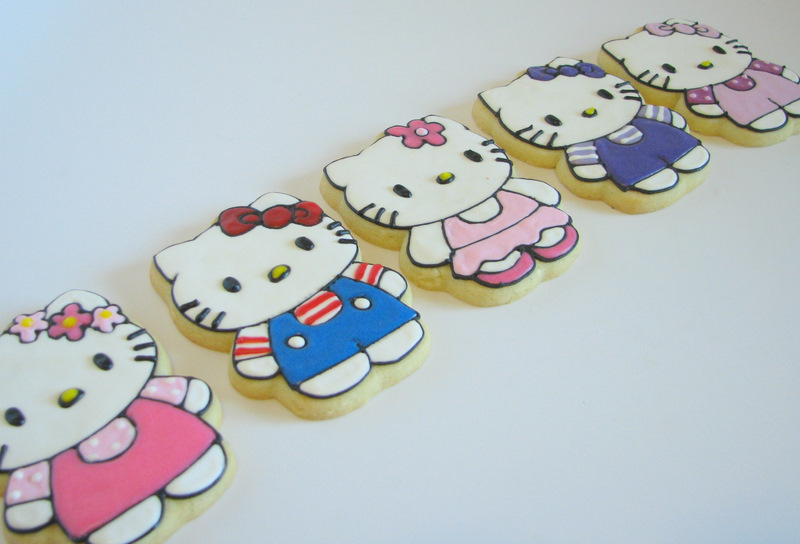 Comment on this post and I’ll choose 5 at random (using random.org) to win a set of Hello Kitty cutters. Contest closes Sunday, Sept. 25 at midnight (wherever you are!). Please only enter one time. Good luck!